New Zealand is one of the place must visit around South Pacific Ocean. Their location is much closer to Antarctic, therefore the weather is much cooler here compared to Australia. They consist of two main islands which is north island and south island. South is probably more visited all year round by tourists. I think it was simply because natural beauties are abundant here and much less hectic city. 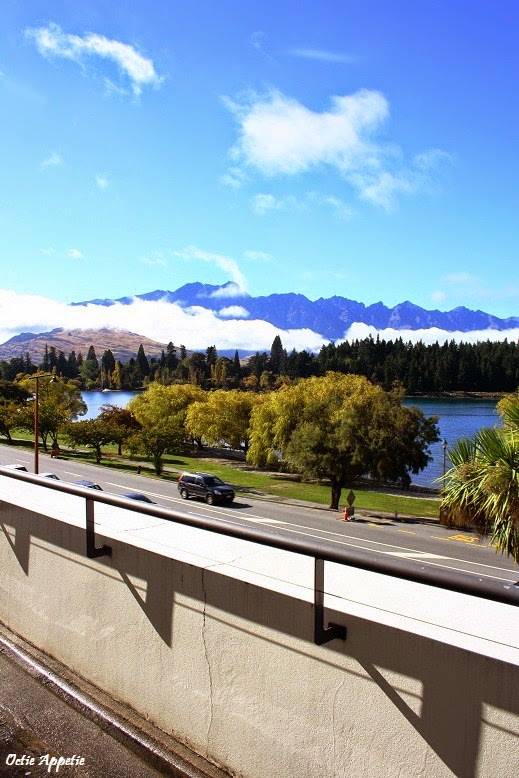 As our break wasn't that long, that's why we'd chosen Queenstown only as our destination for this 4 days 3 nights trip. 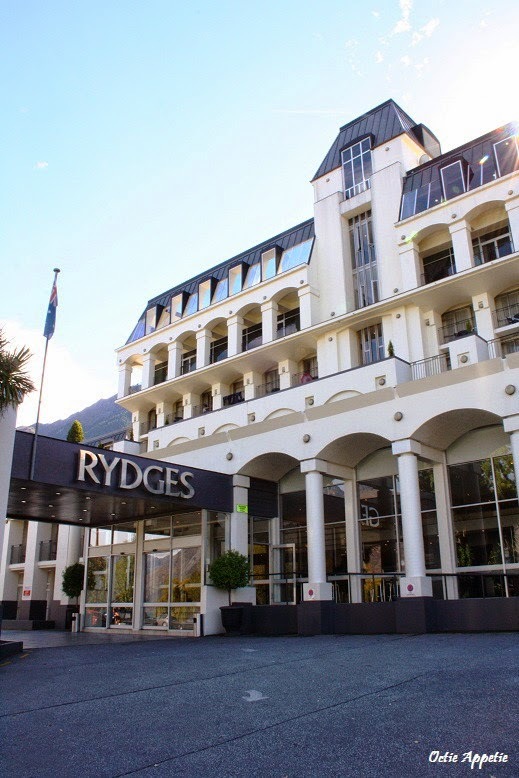 We stayed at Rydges hotel, Queenstown which is located a little out the main busy area yet only about 10 minutes walk to the mid city. So it is pretty peaceful and we got the whole beautiful view of mountain and river. 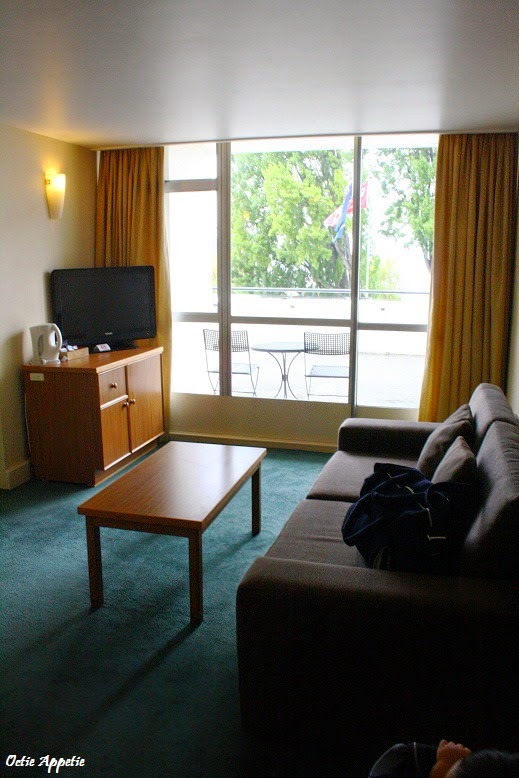 With this one bedroom suite room, we can turn the sofa in lounge room into a double bed. 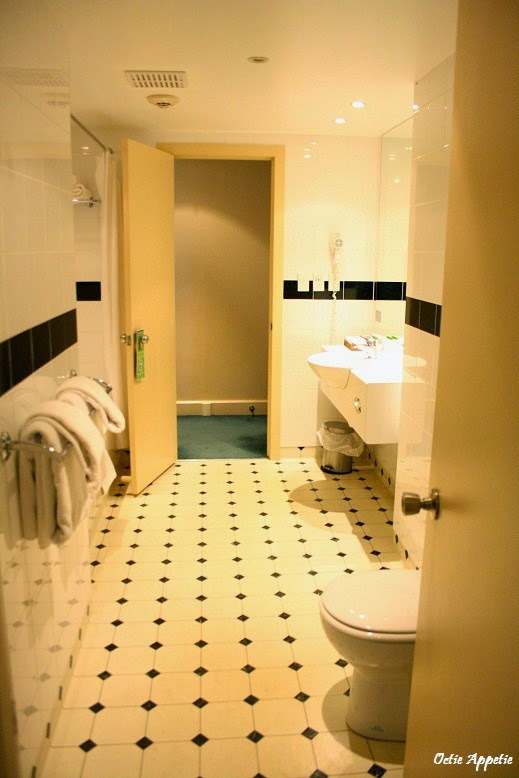 As we come with an 11 months old boy, this room is definitely perfect for the three of us otherwise it is also quite comfortable to fit in 4 adults. We arrived here in late afternoon, still wasn't in the mood for outdoor activities, we decided to maximizing the hotel's facilities. We ordered an in-room-dining. We picked all the New Zealand delicacies and surprisingly the price wasn't that expensive too. The food came in no time and we were pretty surprised and excited to see the portion of the food. Very generous and huge serving portion. Really can't wait to dig into them. The food in this hotel are unbelievably delicious. Every single dishes is exceed our expectation. However, the best one would surely be the lamb rack. It was cooked to perfection, medium rare and the sauce was great. Very happy tummy.